This book where women are at present, and where she can find a place that allows her to use her gifts fully and to express her true identity. 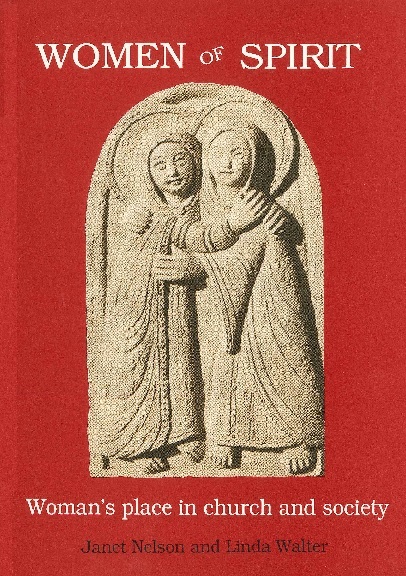 In this book there is no attempt to provide a single, simple answer to the question, “What is the woman’s place in Church and Society?” Rather, its aim is to encourage each woman to think about who she is, who she could be, where she is at present, where she would like to be, where she can find a place that allows her to use her gifts fully and to express her true identity. The book focuses on women’s experience and is written mainly for women to use. We are happy if it also proves enlightening for men. In the first chapter we look at ourselves, our sense of identity, our sense of self-worth. How do we see ourselves? How do others see us? Do we see ourselves primarily as individuals, or as in relationship with other people? Do we see ourselves in relationship with God, made in the image of God? We will take our relationship with God as a reference point from which to grow and explore. In the second and third chapters we look at some of the beliefs and ideas which have shaped societies views of a woman’s place. For centuries the Bible has been a source of authority in Judeo-Christian culture. What do the scriptures contribute to our ideas about women? A major influence in this century has been feminism. What is feminism, and how does it affect our lives? Does it conflict with scripture? What do Christian feminists say? There are three work places in which women find themselves today – the home, the community and the paid workforce. Chapters four, five and six consider women’s contributions to the paid and unpaid workforces, the problems women encounter and the opportunities that exist for growth and fulfilment. Chapter seven looks at woman’s place in her body, at the particular difficulties and the blessings of being in a woman’s body. For a Christian woman her place in the church is of particular importance. Chapter eight traces a slender thread of church women through the ages. It looks at the way in which the church has traditionally viewed women, what roles it has recognised as appropriate for women. It looks at ministries women perform in the church. In the Anglican Church in Australia the question of a woman’s place is at present a major issue confronting the church. Chapter nine deals specifically with the ordination of women to the orders of deacon, priest and bishop. In all these studies we are thinking about ourselves – who we are, where we are, where we want to be. In the final chapter we look at what it might mean to find a place of our own. It will be plain to the reader that many ideas in this book have come through the writings of other people. They have our grateful recognition. Other ideas are our own, an outcome of conversations over many years as we have discovered that two basic strands of our lives feminism and Christianity are inextricably interwoven, shaping the way in which we understand life. The church has resisted acknowledging this connection between feminism and Christianity. She has drawn back in alarm and has disowned feminism. We long for the time when the church will be prepared to look more closely at the features of feminism, for perhaps then she will be able to recognise feminism not as a changeling, but as a child of her own heart to love and embrace.